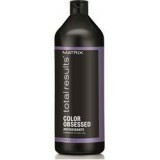 Color protection up to 32 washes* with your secret weapon. 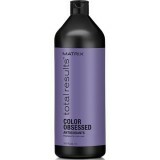 Solve the challenges of full, dry, color-treated hair. 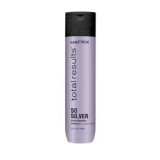 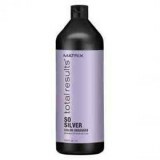 Matrix Total Results Color Obsessed Shampo..
Matrix Total Results Color Obsessed Color Obsessed Conditioner with an antioxidant helps protect ..
Matrix Total Results Color Obsessed So Silver Shampoo neutralizes brassy warmth and corrects yell..